home / location & lifestyle / blog / question: how many community pools does brunswick forest have? question: how many community pools does brunswick forest have? 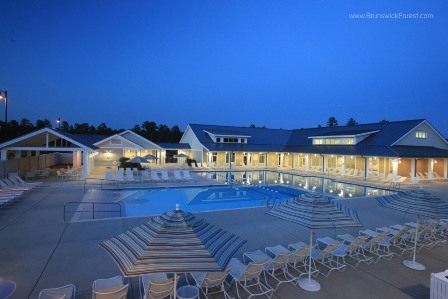 Answer: Brunswick Forest offers its residents 3 community pools! The Brunswick Forest community is a fun place to live especially in the summer months! With 3 community pools for residents to use, there is always something to do, like water aerobics, swimming laps or simply taking a dip! 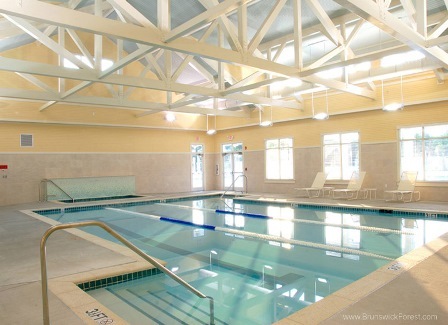 The indoor pool at Brunswick Forest is conveniently located within the 18,000 square foot Fitness and Wellness Center. It is the perfect pool to swim laps or join in on a water exercise class. Like all of the Brunswick Forest pools, the indoor pool is saline based which is best for the eyes and skin! 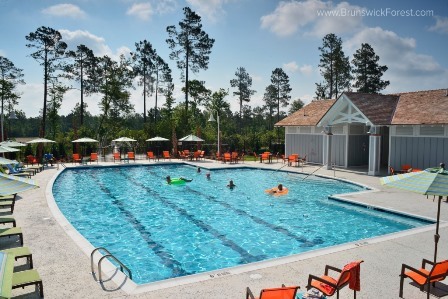 This pool is also ideal for the winter months at Brunswick Forest! The outdoor pool at the Fitness and Wellness Center is a true poolside paradise! Enjoy zero-entry at one end of the pool and lots of space to swim and relax at the other! With chaise lounges surrounding this crystal blue pool, colorful umbrellas and outdoor music, a day at the pool is like a day in paradise! Stop in for a bite to eat at the Splash Café also for a quick lunch or mid-afternoon snack! The newly opened Hammock Pool offers the same great qualities as our original pools just set in a different location. This pool is reminiscent of times spent on an island with palm trees, lush landscape and brightly colored chairs and chaise lounges! 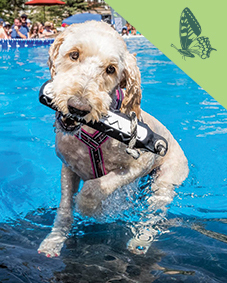 The whole family will love this new pool, with its splash pad for the kids and bocce ball courts for the adults! 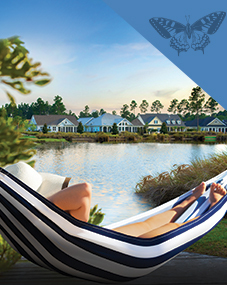 Make a splash at Brunswick Forest with any of the 3 community pools!